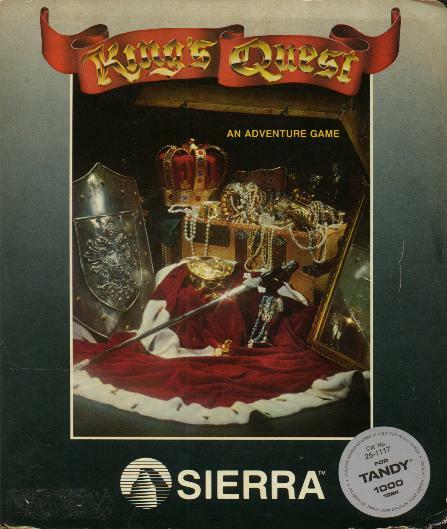 The first release of King's Quest for the Tandy came in a different package than other platforms. While the cover art is the same as the early greyish boxes, the package is a little wider and is a plastic clamshell case instead of the regular one-piece box. (Sierra's Gelfling Adventure comes in this type of package as well.) Notice also that it simply says "An Adventure Game" on the cover, as opposed to "An Animated Adventure Game". Everything inside the package is the same.